So sings Remy Zero in the opening scenes of the television series “Smallville” the story of a young Clarke Kent as he learns what it means to be an alien in a strange land, how to use his powers, how to form friendships and how to live in a world that he’s known for all his life, yet because his home was destroyed years before he knows that he really doesn’t belong. Superhero’s have once again started to reign on the big screen, The Incredibles showed us how a family of Supers might live, Spiderman’s reappeared and should be showing his webbed ways to us again in 2007, the X-Men 3 will be in the cinemas in 2006, Batman Begins blew our minds this year as we got to know the darker side of Bruce Wayne’s story, the Fantastic 4 with the Thing is on DVD release now and somewhere in the outback of Australia the new Superman movie has been filmed for a release in 2006. What do you think he’d say? Even some church-going folks are scared. Ben fold’s new cd is out this week. I was checking it out in JB HIFI’s the other day and noticed this track on the cd. there’s something about Ben’s writing lately… on one hand it seems to be getting more and more beautiful and in the other more and more cynical. Musicians and artists seem to feel things stronger than many of us, and I wonder if that’s starting to eat at Ben, not that I care, his music is still phenomenal and he’s now a Coopers Pale Ale drinking Adeladian! Anyhow, the lyrics are harsh, real and echo many sentiments of the people on the streets. The irony is that jesusland (the kingdom of god) is not meant to be anything like the world that Ben describes. The other version is probably a better one, but it’s harder to get a copy. Although the second version’s not in a church. The images are still fairly american and I wonder how well the song translates into Australia, then again it doesn’t seem to have hurt Eminem in the past, so I doubt that it matters much. It’s been getting a fair bit of airplay both on Video Hits and commercial radio, and while I may have some issues with the lyrics and images (primarily that they just don’t translate well to my context) young people will be listening to it and watching the clip, so it may be of interest to some. Translation is a major issue for me, and in my context this song is nowhere near as powerful as I guess it would be if I were in the USA, one of teh clips portray prison members working on a rialway, another presents a burning cross with a KKK member, each of these images will mean very little to the young people in Australia. 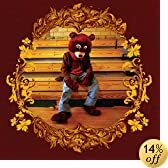 In his debut album “The College Dropout”, Kanye West lays down prophecy about shallow American materialism and still-entrenched racism with one breath and “sets the party off right” with the next. 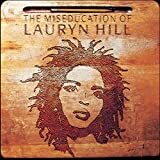 By doing so, West evades pigeonholing from all sides: from the very first track, he refuses to only “write something that . . . will make the kids start sharing candy and stuff,” instead filling his album with biting criticism of the societal injustices and the sins of the hip-hop industry. A few beats later, he invites “all the girls [to] pass the weed to ya m*******n man.” West won’t let himself be confined to any single role, such as the uplifting good guy, party boy, or social critic. Evading these clichés, West is left to define himself, which is what strings a topically diverse album together. Stepping out from behind the turntables, West tells his own story—in one track, dissecting low expectations for black teenagers and criticizing institutional prejudice he experienced at the Gap, and in another, thanking his family and looking desperately for Jesus while confessing his own fears after a near-fatal car crash last October. West pays tribute and looks ahead, combating racism while admitting his fears, ultimately turning for help beyond himself. Dropout, which has been called the best hip-hop album of 2004, is spiteful, refreshing, hilarious and convicting. Most of all, it is honest, and this honesty gives West’s critique bite and his cause hope. Yall eat pieces of sh**? Whats the basis? I got packs to move, I hope.. The Way Kathy Lee needed Regis…thats the way i need Jesus. But if I talk about God my record wont get played, huh? Well if this take away from my spinz…which will prolly take away my endz..